The etymology of the name is St. George. It is a unique grape and finest quality of it can be found in the area of Peloponisos . As its attributes change with the altitude, there are several styles while the flavour character varies. As a result it produces many different styles of wine, ranging from fresh aromatic reds to extraordinary aged reds. It also produces pleasant aromatic rosé wines The young wines have a fruity nose while if they are barrel aged, a rich bouquet and full body is unveiled. It produces wines with characteristic deep red colour and notable aromatic complexity. 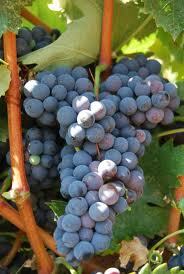 The name Mavroudi (blackish) can be attributed to the dark, nearly black color of its berries. This dark color is also the reason why Mavroudi is used mostly in the production of dark red wines, which are valuable and rare. Either on its own or as part of a blend, Mavroudi has such a forceful personality that attracts all the true wine lovers. The scarcity of the Mavroudi wines is inversely proportional to the variety’s planting. Mavroudi can be found in several places in Greece although it is the Peloponnese where the best quality can be found . this variety’s wines have a somewhat heavy aroma, a sweet and rich taste, and rather hefty tannins. The myth says that Odysseus offered wine from this variety to the Cyclops! Asproudi is very old variety which is believed to be an major ingredient of the legendary legendary wine Malvasia. The grapes are from vineyards which located in the slopes of Monemvasia. Asproudi is an aromatic variety. The Variety Asproudi is vinified to give the wine a white-yellow colour, florar aroma, as well as discreet and balanced palate. This variety is often described as Greece's best white wine grape. Indeed, Assyrtiko is one of Greece’s finest multi-purpose white grape varieties. It has the ability to maintain its acidity as it ripens. It yields a bone-dry wine that has citrus aromas mixed with an earthy, mineral aftertaste. The wines have a fruity taste and comes in many styles depending to the methods used in its production. Roditis is one of the most popular Greek varieties and it has the second largest cultivation area in Greece. It is a very old, local red variety, grown in 32 prefectures. Rogditis, Roiditis, Rodomousi, Kokkinara, Kokkinostafylo, Kanellato, Sourviotis are some of the names of the variety that changes significantly depending on the different microclimate of each region.The wines produced by Roditis are cool, with a characteristic acidity and aromas of citrus and tropical fruits, and this is why the variety is increasingly being used as "corrective", in mixing with others. Monemvasia variety is thought to be one of the original varieties that produced the legendary Malvasia (also known as Malmsey or Madeira). The name Malvasia is a Venetian bastardization of Monemvasia. 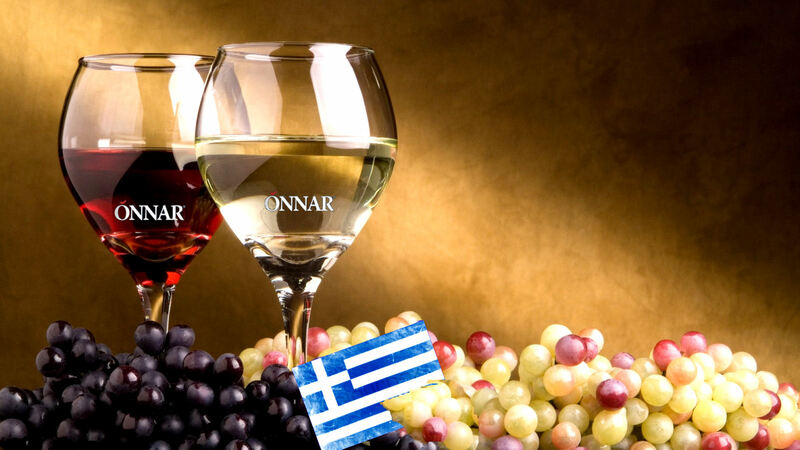 An analysis by Mihalis Boutaris proved the strong bond between the variety Monemvasia and Gouais blanc. Monemvasia has common features with several other grapes supposed to have been utilized in the production of Malavasia, in particular; early ripening, powerful aromas, low acidity and high sugar. Kidonitsa is the most acknowledged member of an almost extinct and out-of-the-ordinary group of grape varieties emerging in the last decade out of the region of Laconia, located in the south-east of the Peloponnese. 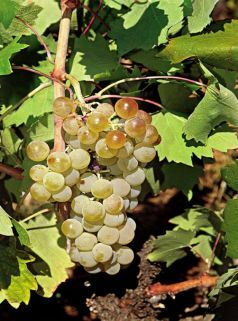 It is a white grape variety, mainly producing white dry wines, but it also plays a part in the blend of the brand new sweet white wine, PDO Monemvassia-Malvasia. Kidonitsa is just a glimpse of the great potential of that area. Vine growers of Laconia have been aware of the potential quality of Kidonitsa for several decades. It is a variety that produces wine with medium lemony, green color, intense aromas, dominated by notes of ripe quince—called Kidoni in Greek (Kidoni-Kidonitsa). Kidonitsa exhibits a very singular provenance—the carrier of a rare bloodline—while, at the same time, its aromas and style can instantly charm lovers of aromatic, round white wines. It is very versatile and can be matched with poultry, salads, and white salty cheeses. It is a wine to be consumed within three years from vintage, but the more adventurous connoisseurs could keep a few bottles until the wine is five years old. A distinct aromatic grape from within the AOC region of Mantinia, in the Peloponnese, Moschofilero grapes have a gray colored skin and therefore produce a wine that is a blanc de gris. Its crisp character and beautiful floral aroma of roses and violets with hints of spices can be drunk as an aperitif or with food. This fine variety grows at high altitudes (600m) in central Peloponisos.